Earth’s supply of solar and wind power will be secure for a reassuring five billion years. The use of renewable energy is an incredibly important step forward for our environment in that it significantly reduces the amount of CO2 escaping into the atmosphere. Our ability to exploit renewable energies also makes us less dependent on the world’s crisis regions, from where we still source a significant portion of the fossil fuels we use. 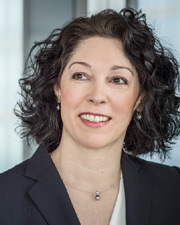 Policymakers are encouraging the switch from fossil fuel to renewable energy with a range of incentives, including subsidies and doing so successfully: more than 30% of Germany’s gross electricity consumption was already being produced from renewable energy sources in 2015. Even in the transportation and heating sectors, the figure was 13.2%, with a rising tendency visible throughout the economy. Electricity is generated to a significant extent from wind power. Having been quick to spot the opportunities inherent in renewable energy, we launched our first wind power fund back in 2001. 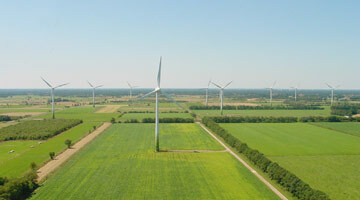 The fund’s asset is the Altmark wind farm, located some 80 km west of Berlin. The 20 wind turbines produce a total output of 30 megawatts, sufficient to power 1,200 households for a year or enough to keep Munich’s famous Oktoberfest – the world’s biggest beer festival – going for three weeks. 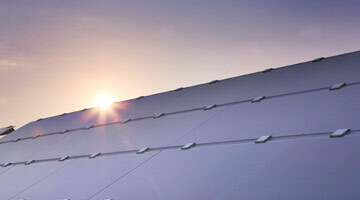 The outlook is particularly bright for solar power investors, too. This is another field in which we were among the first movers; our investors can therefore already benefit from our years of market expertise. 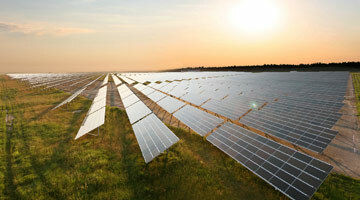 The Free State of Saxony offers large expanses of open space, unshaded and secured for the long term, where First Solar GmbH has built solar farms with a total output of 46 megawatt peak. The Rote Jahne and Waldpolenz I, II and III solar farms are situated in the direct vicinity of Leipzig and constitute the assets in our solar power funds. Professionals can now invest in the Solar Wind European Renewable Funds (SWEPP), whose investment assets focus on onshore solar and wind projects in northern and central Europe. Two solar farms built on large expanses of flat and unshaded land secured for the long term in the state of Saxony and equipped with solar panels by First Solar GmbH. Total output of 30.09 MWp (megawatt peak). Operated by juwi Solar GmbH, Mainz. Waldpolenz III Solar Farm, the third phase in the construction of Waldpolenz Solar Farm, equipped with solar panels from First Solar GmbH and offering a total output of approximately 8.05 MWp (megawatt peak). The Waldpolenz Solar Farm is built on large expanses of flat and unshaded land secured for the long term in the state of Saxony, located some 20 km east of Leipzig, near the towns of Polenz and Leulitz. Meyenburg Wind Farm in the county of Prignitz, Brandenburg, equipped with eight wind turbines of the type Enercon E66/18.70-3 with a hub height of 98 m and a rotor diameter of 70 m. Manufactured by Enercon GmbH and offering a total rated output of 14.4 megawatts. The wind farm is operated by Energiequelle GmbH, Kallinchen. Under a partnership arrangement, the manufacturer Enercon is on hand to provide servicing and maintenance, and to guarantee 97% technical availability for the wind turbines for a period of 15 years. You must select a cookie option in order to continue. Below you can find an explanation of the various options and their significance. Only technically necessary session cookies for this website. Session cookies are installed but no tracking / analysis cookies. The Borlabs Cookie has already placed a cookie required to enable your selection to be saved. This will be deleted after 365 days. You can change your cookie settings at any time here: Privacy Notice.